Does your diving day end when the Sun goes down? Are you tired with the same old dive sites and feel as if you need some more excitement? Do you want to experience the adventure and excitement of a night dive but lack the confidence and knowledge to be able to do it safely? If your answer to any of these three questions is yes, then what you need is to take the PADI Night Diver Specialty Course!!! Familiar dives sites will become new and exciting places to explore under the cover of darkness. You will see many strange and mysterious creatures that only come out at night, and some that act completely differently than they usually do during the daylight hours. Don't let your diving stop when the Sun goes down!!! 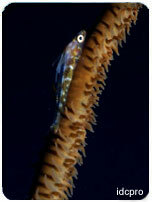 Enroll on a PADI Night Diver Specialty Course with us today and gear up for the twig light hours!! !